G.A.P.S. Rugby League contains 250 Games, Activities, Practices & Skills covering: Passing, Running, Handling, Support, Decision Making, Play the Ball, Contact, Tackle & Defence, Kicking and Fun & Games. G.A.P.S. resources support the effective teaching and coaching of games and are based upon a ‘Making sense of Games’ approach to coaching, providing Games as starting points. These are supported by a range of related Activities, with specific Practices to support key elements of successful game play (e.g. 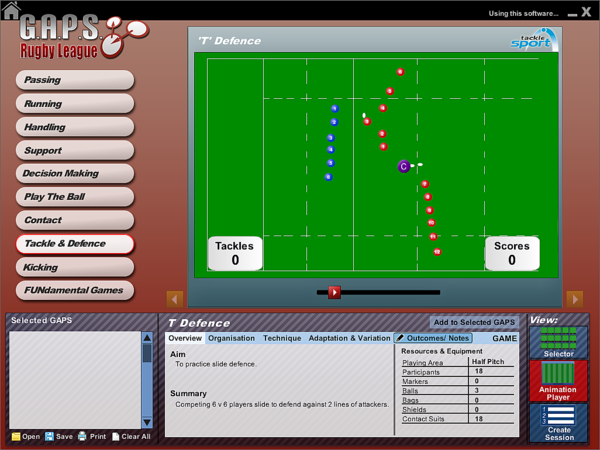 Kicking), and focused Skills exercises for the development of individual technique (e.g. drop goals). G.A.P.S. 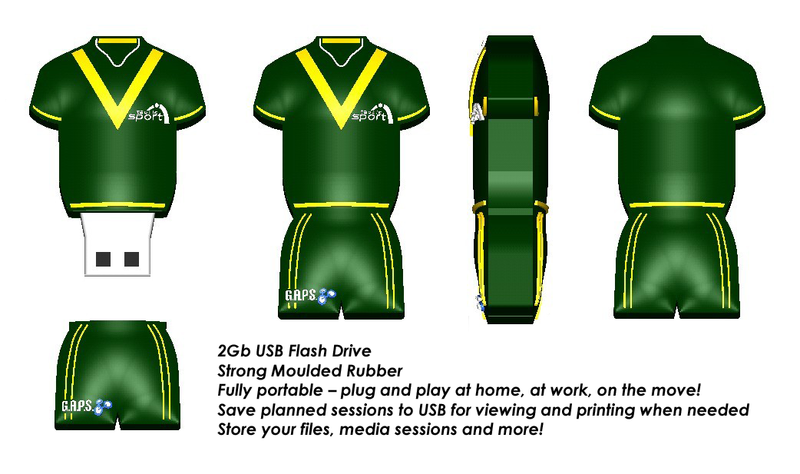 Rugby League provides teachers and coaches with 250 G.A.P.S. in animated format. 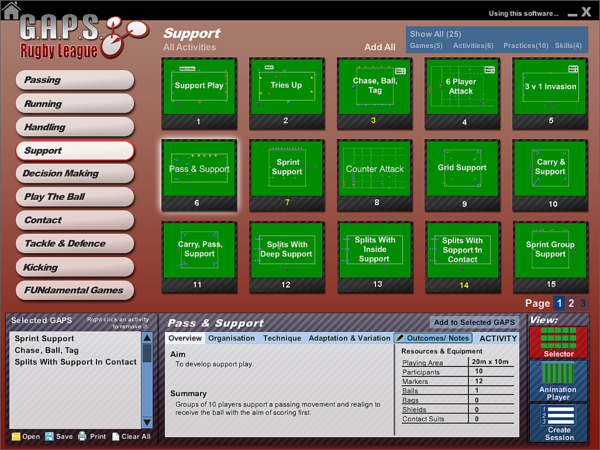 The Activity Selector provides access to the content via 10 sub categories that cover the key elements of the game. Selecting one category (e.g. Passing ) will load the relevant G.A.P.S. as thumbnails in the index. A search can be narrowed by filtering the index by Games, Activities, Practices or Skills. Practices cover static passing, dummy-half passing, passing on the move, and passing to static and moving targets. Activities that help to develop passing off the left and right hand, player awareness and the ability to commit defenders are also included. Includes practices to develop agility, conditioning, correct running angles and realignment. 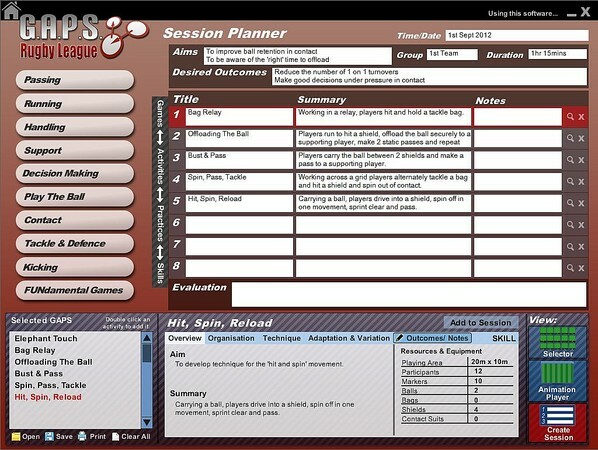 In addition activities are included in which players must complete specific skills while fatigued; individual and unit practices are used. Includes practices to develop basic passing and catching, speed and accuracy, passing variations, peripheral vision in handling, and handling in close support, out of contact and in opposed situations. Ploys such as face balls, behind balls, drag and drops and drifts are introduced. Unopposed and opposed activities are included to develop a variety of support skills. Practices cover awareness and running lines in support, supporting the pass, supporting a receiver and support for continuity. A range of activities are included to develop players’ ability to beat opponents by using correct running angles, giving well timed passes and using a variety of ‘ploys’. The use of contact shields is included to assist in the development of decision making skills in contact. 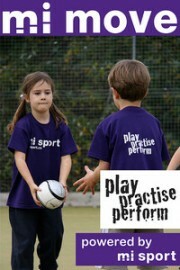 Activities are structured to range from unopposed to opposed, and to suit a variety of ages and ability levels. The skill of playing the ball is developed through a range of grid based practices. Passing from acting half back, securing the ball, the act of playing the ball, attempting a break from acting half back, defending the play of the ball (double marker) and making a quick play of the ball after being tackled are all covered. Activities that develop players’ ability to go into contact effectively, hit and spin away from contact, burst through defenders and offload the ball out of contact are included. Also included are contact practices involving tackling, defending the play of the ball and support. Practices are included to develop tackling skills, communication in defence, defensive alignment, cover defence and defence transition. Practices, which also develop players’ agility and conditioning, range from co-operative to competitive. Practices are included to develop basic ‘punt’, ‘drop’, ‘chip’ and grubber kicks, together with accuracy and power. Practices to develop receiving skills and kicking under pressure are also included. Practices, fun activities and modified or conditioned games are included which reinforce the key skills covered elsewhere on the CD-ROM. 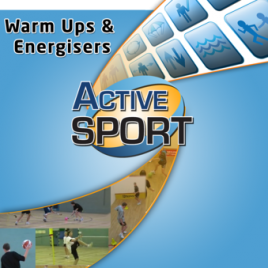 The activities in this section can be adapted to suit all age and ability levels.